A few years ago, a fellow actor friend turned me on to a tradition that he does every year – a blessing bowl. 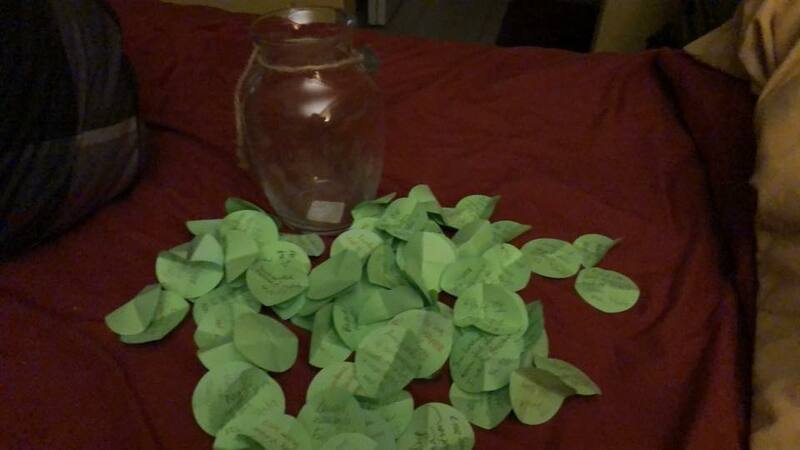 He writes down something good that happens to him or something he’s thankful for and collects them all in a jar. Then, on December 31, he dumps the jar, sits down with a great cup of coffee and reads about all of the great things that have happened to him over the past year. Uh…SIGN ME UP! Loved this idea the minute I heard about it. So, 2017 marks my third year of following in his footsteps. Just finished reading all of the entries in my blessings bowl. My cup truly runneth over. I laughed. I cried. I am full of joy. Here’s wishing all of you a happy and safe New Year’s and nothing short of a prosperous 2018. Mwah!